The Community Foundation of Wabash County recently received notification that it has met the nation’s highest philanthropic standards for operational quality, integrity and accountability. The notice comes from the Community Foundations National Standards Board, a national accreditation organization based in Arlington, Va. The National Standards for U.S. Community Foundations program requires community foundations to document their policies for donor services, investments, grant making and administration. With over 200 community foundations already confirmed in compliance nationwide, the program is designed to provide quality assurance to donors, as well as to their legal and financial advisors. 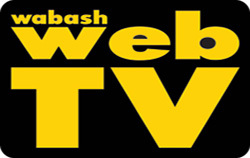 “This is critically important to our donors,” said Patty Grant, Community Foundation of Wabash County’s Executive Director. Rachael Polk, owner and creator of Vapor Place, has a story that many people can relate to. “I went to college and became a smoker, and my parents weren’t very happy,” Polk said. After coming home from her freshmen year of college smoking, Polk’s parents were determined to help her quit. Polk explained e-cigarettes to her father. Green Smoke produces electronic cigarettes that consist of a flavored cartridge called a cartomizer, a battery and a cigarette-like stem that lights up and releases a vapor when in use. The e-cigs don’t contain the tar or carbon monoxide found in traditional cigarettes. There is also no harsh smell or smoker’s breath. However, Polk had some issues with trying to find the right flavor and nicotine level. A $1 million grant from Lilly Endowment Inc. will ignite several exciting new Manchester University programs and collaborations, including an undergraduate sales degree that is unprecedented in Indiana. -Develop at least five new certificate programs that align with the workforce needs of Indiana employers over the next five years. -Engage 60 Manchester students in internships to provide them with professional experience and contribute to economic development initiatives in northeast Indiana through strategic use of their talents. -Collaborate with work force agencies, other northeast Indiana universities and the Northeast Indiana Regional Partnership to strengthen MU’s relationship with employers and leverage the Lilly Endowment grants for more support. Question: I read that spinal traction can help back pain. What is it and what does it do? Answer: Chronic and acute back pain can be debilitating and very disruptive to your daily life. 1 in 5 persons suffers from back pain. Back pain can range from a dull constant ache to a sudden sharp pain that makes it uncomfortable to move. •Getting older. Back pain is more common as you become older. Most people report their first back pain around ages 30-40. •Being overweight. Too much weight can stress the back causing pain. •Heredity. Some causes of back pain, such as spondylitis, a form of arthritis that affects the spine, can have a genetic component. •Other diseases. Some types of arthritis and cancer can cause back pain. •Your job. If you have to lift, push, or pull while twisting your trunk and spine, you may get back pain. If you work at a desk job and do not sit up properly, you are also at a greater risk for back pain. Anything that is causing improper alignment whether you sit or stand, places you at risk. •Smoking. Though widely overlooked by the general population, this is a big one for being a factor for other common back conditions such as spinal stenosis, etc. Your body may not be able to get enough nutrients to the disks in your back if you smoke. Also, people who smoke are slower to heal, so back pain may last longer. Judge Christopher M. Goff, Wabash Superior Court, recently served as faculty at the Indiana Judicial Center’s Senior Judge Workshop held on Oct. 29. The workshop was held at the Indiana Judicial Center in Indianapolis. IJC is the staff agency of Indiana’s Judiciary and was created by statute. The legislature has charged IJC with promoting an exchange of experience and suggestions regarding the operation of Indiana’s Judiciary. Timbercrest Retirement Community celebrated its 125th anniversary, coming up in 2014, with 125 beautifully decorated Christmas trees during its Festival of Trees. 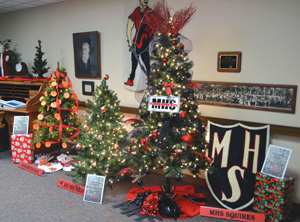 Over 50 trees, sponsored by area businesses and organizations, were on display throughout Timbercrest Manor for the community’s enjoyment. Timbercrest also hosted a craft bazaar and gave children the opportunity to meet and greet with Santa Claus himself. Visitors enjoyed cocoa bars sponsored by the News Journal, The Paper, Hoffman Nursery & Landscaping, Metzger Landscaping and Crossroads Bank. The hallways were decorated with wreaths on residents’ doors, each hallway leading to another beautifully lit tree. Timbercrest is overwhelmed by the community’s support and they deeply appreciate the sponsors and volunteers who made the Festival of Trees such a success. 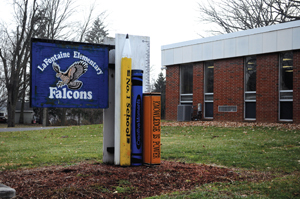 The Metropolitan School District of Wabash County board voted unanimously to close the LaFontaine Elementary School after the current school year. The board began discussing closure with the public after last April when structural damage was discovered in a classroom. The damage revealed a corroding beam, which would cost $150,000 to repair. Since the discovery, grades four and five have been moved to Southwood Elementary for safety concerns, leaving only sixth graders in the building for the 2013-2014 school year. Over the past several months, the board held open discussions with the community to receive feedback and ideas on the issue. Concerned citizens questioned how the move would affect the quality of life in LaFontaine. While the board kept in mind the emotions of the community, they reminded the public that it is their duty to do what is best for the entire school district. Board members took the time to investigate options and weigh benefits before Dr. Weaver made her recommendation. More than 30 supporters including the mayor, the county veterans services officer, and a representative for Congresswoman Jackie Walorski, gathered at American Legion Post 15 in downtown Wabash on Tuesday, Nov. 26 for a ceremony to dedicate the county’s new Disabled American Veterans van. 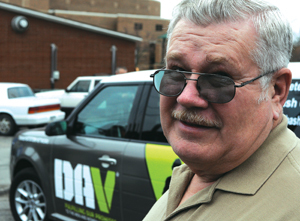 The DAV van serves disabled veterans by providing a free means of transportation to medical appointments at VA hospitals and VA approved locations. 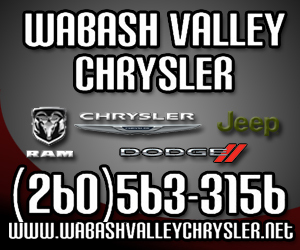 Three years ago, Herb Mullen, Wabash County coordinator for the DAV, brought the van program to Wabash County after volunteering as a driver in Marion since 2009. In the spring of 2011, it became apparent that the loaner van they had been using would not last many more years. He set up a savings account and began raising funds for a new van.